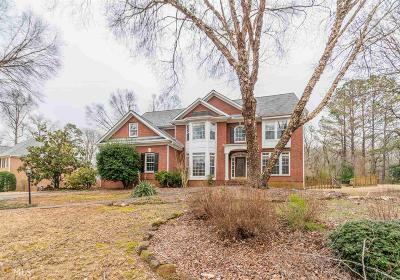 Gorgeous family home in beautiful and serene neighborhood, walking distance to the Kennesaw Battlefield. Home sits on over half an acre of land, and the unfinished basement provides tremendous expansion options. Renovate and enjoy this brick beauty with vaulted great room, three fireplaces, five bedrooms, and master bath with a steam shower. Caution -- dangerous conditions. Do not attempt to access rear door on screen porch. Vacant and on Supra. Supra is on back door. Go and show. Employees and family members residing with employees of JPMorgan Chase Bank, N.A, its affiliates or subsidiaries are strictly prohibited from directly or indirectly purchasing any property owned by JPMorgan Chase Bank, N.A. Supra mounted on back door of property.